We’d love your help. Let us know what’s wrong with this preview of Comrades and Enemies by Zachary Lockman. In Comrades and Enemies Zachary Lockman explores the mutually formative interactions between the Arab and Jewish working classes, labor movements, and worker-oriented political parties in Palestine just before and during the period of British colonial rule. Unlike most of the historical and sociological literature on Palestine in this period, Comrades and Enemies avoids tr In Comrades and Enemies Zachary Lockman explores the mutually formative interactions between the Arab and Jewish working classes, labor movements, and worker-oriented political parties in Palestine just before and during the period of British colonial rule. 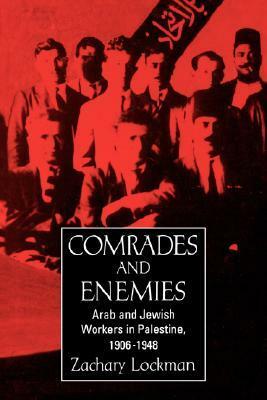 Unlike most of the historical and sociological literature on Palestine in this period, Comrades and Enemies avoids treating the Arab and Jewish communities as if they developed independently of each other. Instead of focusing on politics, diplomacy, or military history, Lockman draws on detailed archival research in both Arabic and Hebrew, and on interviews with activists, to delve into the country's social, economic, and cultural history, showing how Arab and Jewish societies in Palestine helped to shape each other in significant ways. To ask other readers questions about Comrades and Enemies, please sign up.